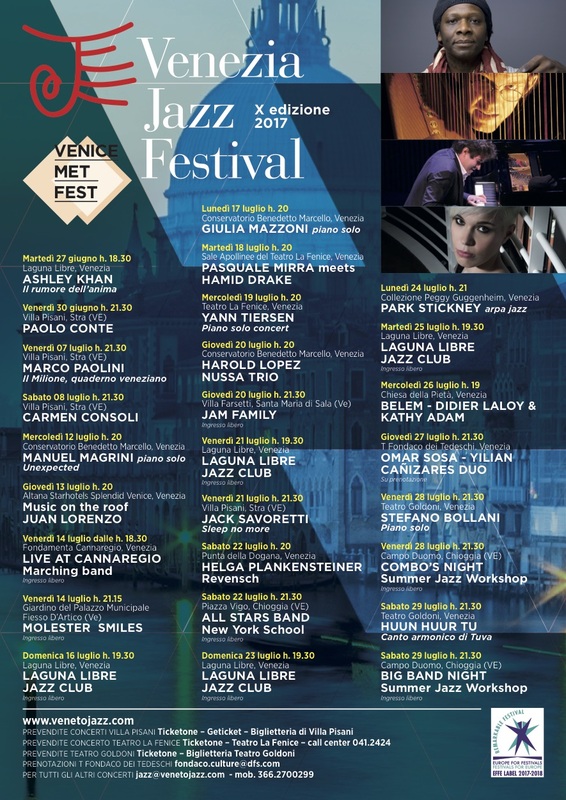 This is by far the biggest Venetian festival of the year! For over 450 years Venetians have celebrated the end of the plague of 1577 that killed over 50,000 people. 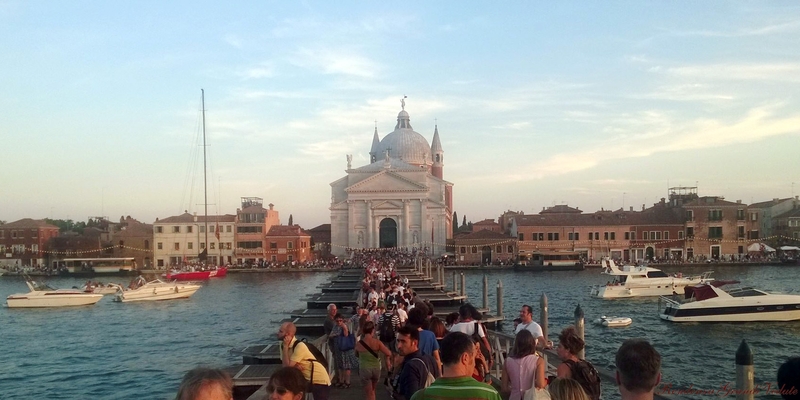 Every third Sunday of July a metal bridge is mounted on modern floating platforms to cross the Canal della Giudecca. This bridge goes from Zattere to the Church’s door. The Redentore church was designed by Andrea Palladio and built by the Venetians as a way to thanksgiving for the end of the plague. Even today the party is a way of giving thanks. 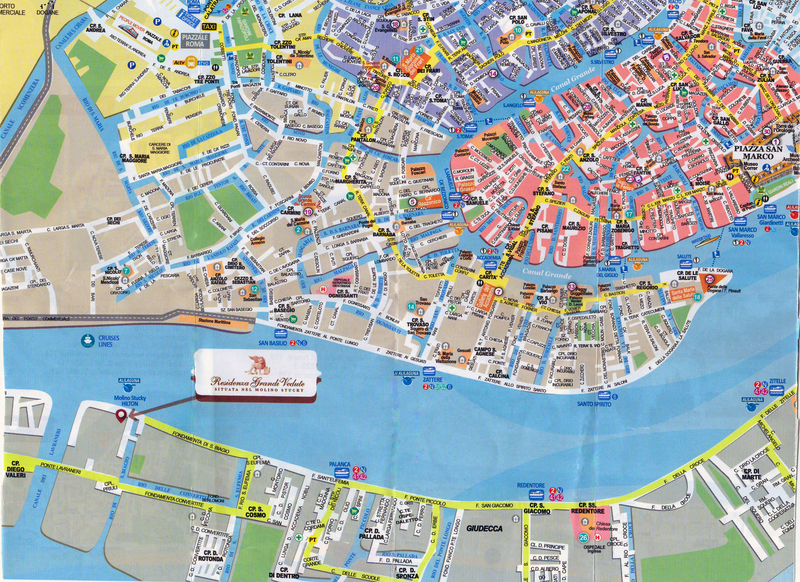 It starts on Saturday night when boats decorated for the occasion fill up the Canal della Giudecca and Saint Marks Basin. 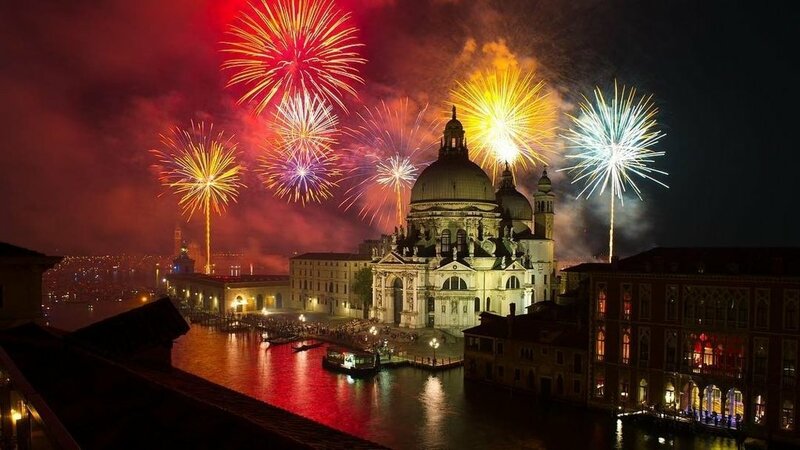 Tradition has dictated that the Venetians dine on their boats or outside their houses in the small squares or on the streets overlooking the Canal della Giudecca and Saint Mark’s Basin while they wait for the fireworks to begin. The city rocks when the spectacular fireworks are launched from a boat platform in Saint Mark’s Basin. The show lasts almost an hour. The city and water are lit up in every color. 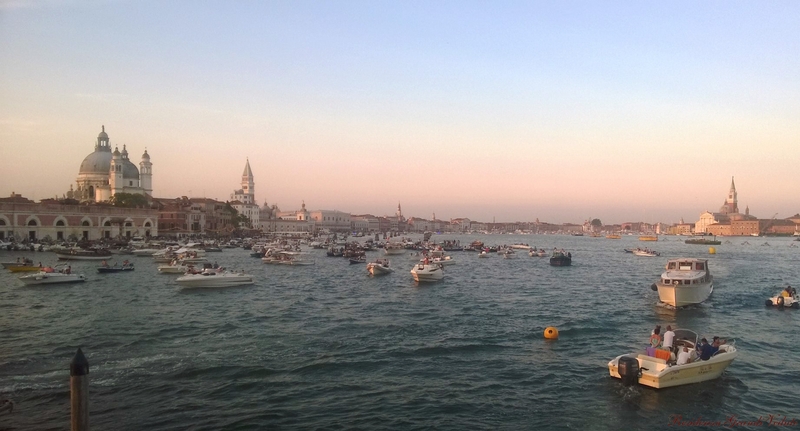 Once the fireworks are over, the boats head to the Lido where the Venetians party till dawn. 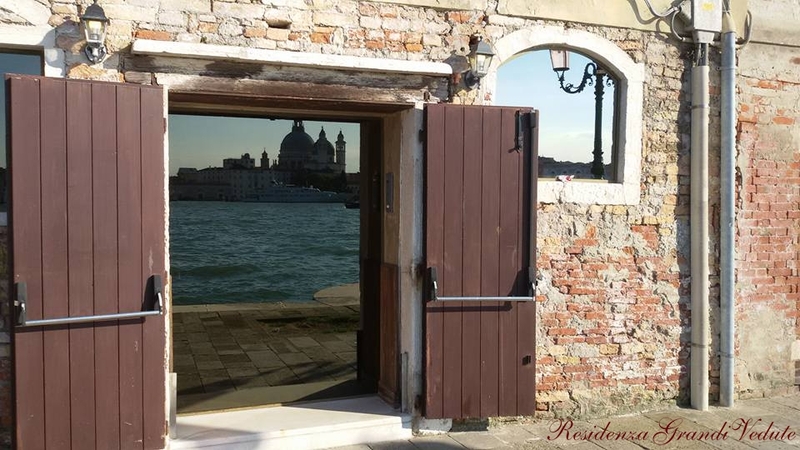 07.00 p.m. – Opening of the votive bridge connecting the Zattere waterfront with the Chiesa del Redentore (Church of the Redeemer) on the island of Giudecca and presentation of the Venetian regatta boat crews.